The other day I walked to the mailbox on the corner to drop in some letters I hoped would eventually make their way to San Francisco the old-fashioned way. 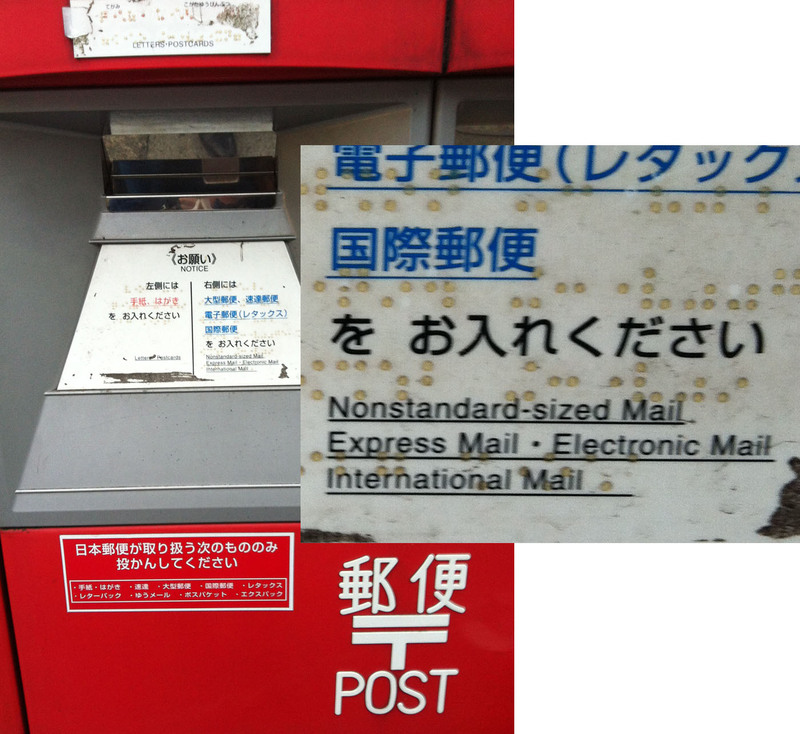 Stopping to read the labels to make sure I wasn’t shoving my overseas envelopes into the JAPANESE MAIL ONLY slot, I encountered…WTF? Was this ordinary-looking postbox secretly kitted out with USB ports? I inspected it. Nope. Perhaps it was a radical wifi-enabled postal service hotspot? Hmm, no again. I showed this photo to a Japanese friend, figuring it was just an Engrish mistranslation, but she laughed out loud. Apparently not. For now, it remains in the Unsolved Japanese Cultural Mysteries Hall of Fame.